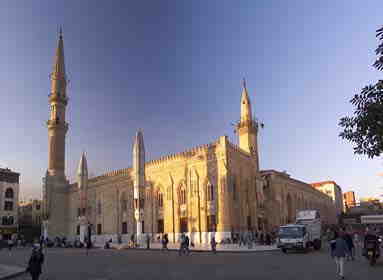 Islamic Cairo is an area of narrow streets, covered markets and crumbling old buildings. It is a part of central Cairo , and one of the world's oldest Islamic cities, with its famous mosques, madrasas, hammams and fountains. Founded in the 10th century, it became the new centre of the Islamic world, reaching its golden age in the 14th century.